There is substantial interest around the world in the effectiveness of ‘fishways’ or fish passages as channels, like a set of stairs, to enable fish to move more freely where there are obstructions such as weirs and flood control gates. This generates win-win outcomes where healthy fisheries can co-exist with irrigation expansion, particularly in rice growing countries. 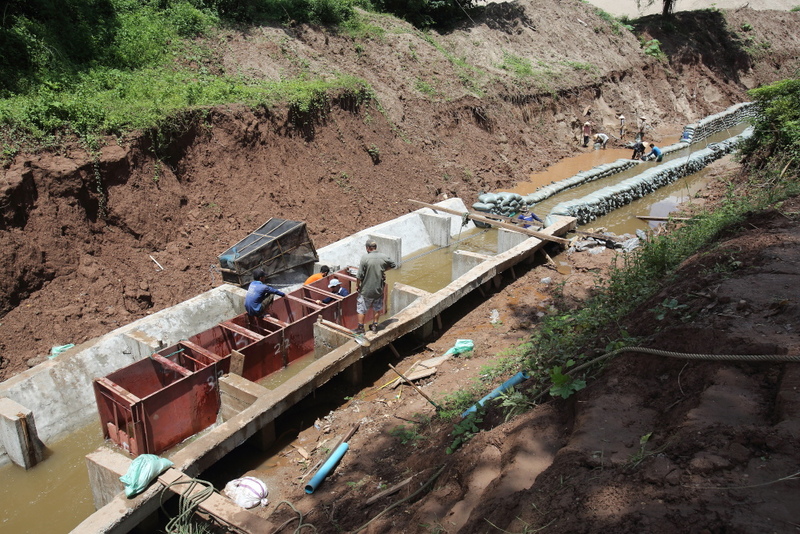 With support provided by ACIAR, Crawford Fund, USAID and Mekong River Commission (MRC), a Fish Passage Master Class was held in Thailand in late 2018. The Master Class was led by Dr Lee Baumgarter from the Institute for Land Water and Society, Charles Sturt University and five other Australian instructors who came from the University of South Australia, Charles Sturt University and Australasian Fish Passage Services, and five instructors from the US Department of the Interior. The Master Class had an extensive reach, with 52 practitioners from fisheries and irrigation ministries from Cambodia, Lao PDR, Myanmar, Thailand, and Vietnam attending, along with representatives from Southeast Asian Fisheries Development Center SEAFDEC, the MRC Secretariat, and the National Mekong Committees from each nation. 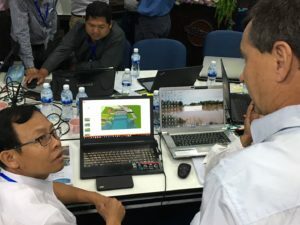 The goal of the Master Class was to provide engineers and fishery managers throughout these five Lower Mekong nations with the skills needed to design and construct effective fish passages for upstream migrating fish at irrigation infrastructure. The second goal was to build connections between irrigation and fisheries practitioners, to better utilise both skill-sets in fish passage design and construction. Trainers and participants reported that the Master Class was successful in achieving its goal of building baseline capacity in numerous agencies to design and construct irrigation facility fish passes. “The delegates felt that their knowledge on fish passage science and fish pass design and construction was strengthened substantially; in the case of irrigation participants, it was an eye-opening first exposure to these concepts,” said Dr Baumgartner, in his report to us on the training. “Having engineers and biologists together solving these problems was a significant success. It provided assurances that broad scale uptake of this technology could be achieved if more frequent sessions like these were held and the messages reinforced,” he wrote. There was substantial interest for the instructors to run reciprocal courses in each individual country to participants that could not attend.